At Noble Real Estate Services, we provide property management and real estate sales in the sunny Spring Valley, California community. We are located just outside of San Diego. We manage property as far north as Rancho Bernardo out to Lakeside in the east and all the way down to the Mexican border in the south. Our portfolio includes the management of over 700 units, and we are a professional management company that is fully staffed. We are open six days a week for normal business and seven days a week for tenant emergencies or habitability issues. We are a family owned business and we have been here since 2008. We have all been real estate sales professionals and real estate brokers. In the 30 years that we’ve been in business, we have the kind of experience and know-how you are looking for in property management. One of the reasons people hire a property management company to help with rentals is because they are looking for peace of mind. We are the gatekeepers and the enforcers of the rental contract. This is a difficult job for property owners who are part time landlords. 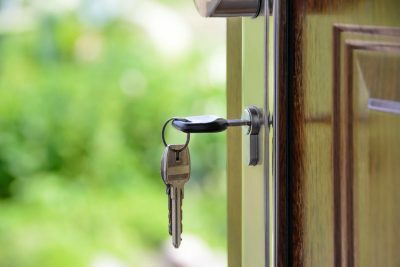 If you have a full time life with a spouse, kids, a career, and other obligations; managing a property is the last thing you want to take care of when you finally find some free time. That’s where we come in. We can step in on a full time basis and help you maximize the return on your investment. We’ll also maintain the overall condition of your property. As professional property managers, we have excellent relationships with vendors and repair contractors. The vendors we work with provide us with preferred pricing, which we pass on to you. It’s easy to pay too much when your water heater goes out or the garbage disposal breaks. We give you quick turnaround, better pricing, and a prompt response to any service needs. If you’re looking to hire a great property manager who can maximize your ROI, please contact us at Noble Real Estate Services, and we’ll talk about what’s best for you.